You may have the best products and services in the world but if you don’t have sales pages that convert then you are not going to see many sales come into your business. So what elements do you have to consider when creating sales pages that convert? Well, obviously the purpose of your sales page is to get someone to take the action and purchase your products and services. You must understand that there will be two types of people who will visit your sales page. The first type will be people who are just browsing and are curious to learn about what you have to offer, the second type of person is the one who will have their credit card already out and are looking for a solution there and then. With that in mind you need to consider both types of people when you are preparing your sales page copy. So you need to write it in a way that will convert the curious into buyers. To do this there are several things that you need to understand when preparing your sales page copy. Let’s look at some of the key factors to consider to create a sales page that converts for your home business. There are two types of sales page that you can create. The long copy sales page and the short copy sales page. When you are asking lots of people which is the best format you will get a lot of different opinions, so here is my advice. A short sales page is perfect for people who have already made their mind up about needing the product or service you have to offer. They do not need to go into the in’s and out’s of what the product does. A long sales page is designed for the curious consumer who needs to be convinced that they need the product, so you have to go into greater detail on all the features and benefits of the product. So my advice would be to combine the both in this way. At the top of your page have an image with bullet points which highlights exactly what the product does and a call to action button where people can buy it. Then go onto describe in a few paragraphs all the other specifications about the product. A great platform to analyse sales pages is Amazon. They use this format where people can showcase the product to get instant purchases and they also offer the facility for independent retailers to give a comprehensive description further down the page. 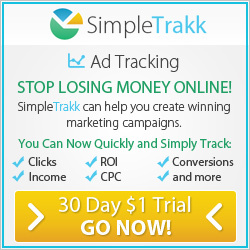 Powerful Headlines – You must instantly grab the visitors attention. Benefits Of The Product – You must elaborate on the promise that you have made in your headline and explain the benefits that your customer will get from buying the product or service. Storytelling – Everyone likes a good story so tell them true stories on how the product helped the creator overcome a problem they were experiencing. Credibility – Make sure that you are credible as people buy from people who they know, like and trust. Use Sub-Headings – This is to break up your copy into sections and to pre-sell them on why they should carry on reading the next section. Testimonials – You should always incorporate testimonials so that individuals can see that other people have used the product and have been happy with it. Proof The Product Works – The best way to do this is to create a video of the product in action so it allays any fears that the person has about your product. The Irresistible Offer – Make them an offer they can’t refuse. Explain that the benefits of the product help them with the solution they are they looking for. A Cast Iron Guarantee – Take all the risk away from them by offering a full 100% money back guarantee if they are not truly satisfied. The Call To Action – You need a strong call to action where you tell them what to do and how to do it. 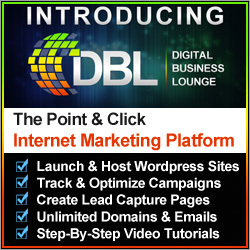 Digital Business Lounge is a point and click interment marketing platform to build stunning websites including sales pages. There are multiple themes that you can use which match the look and feel of your business. 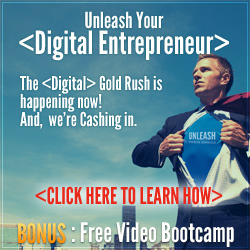 Click on the image below to learn more about Digital Business Lounge. 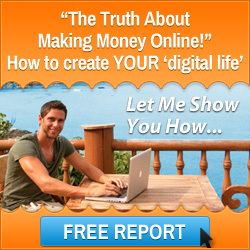 I have given you a blueprint to creating sales pages that convert. Also you can have access to Digital Business Lounge to build you sales pages so make sure you click on the banner above to learn more. I wish you every success in running your home business from anywhere in the world and building sales pages that convert. This entry was posted in Website Creation and tagged mark ford, sales page software, sales pages that convert, website builder. Bookmark the permalink.